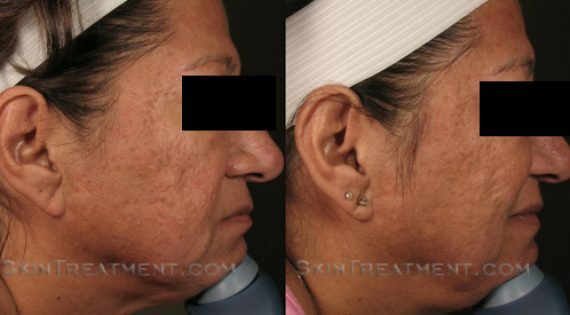 Fraxel Laser Treatment improves mild to moderate wrinkles, sun damage, surface irregularities, blotchy pigment, age spots, acne scarring, surgical scarring, large pores, and stretch marks. 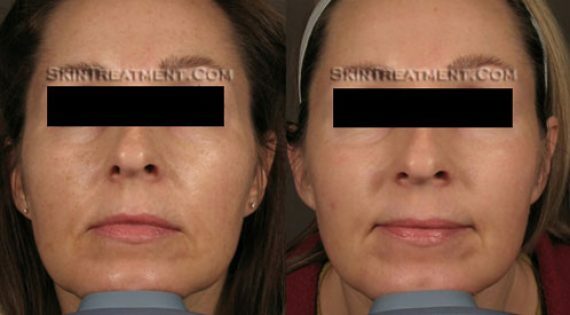 Skin is smoother, less wrinkled and more refined with smaller pore size. 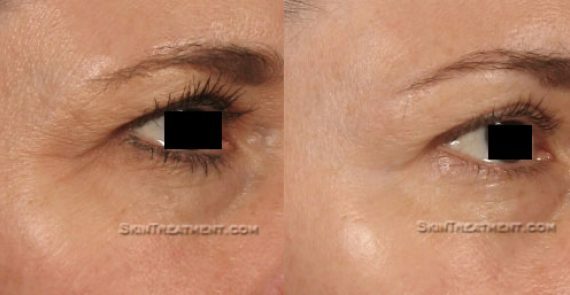 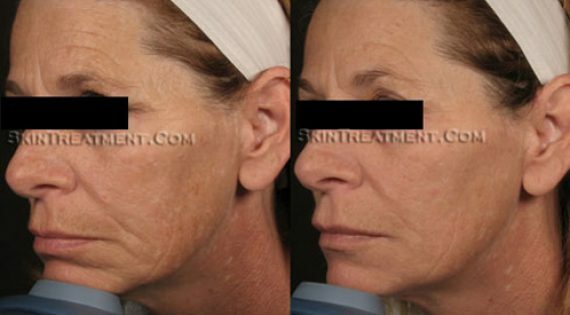 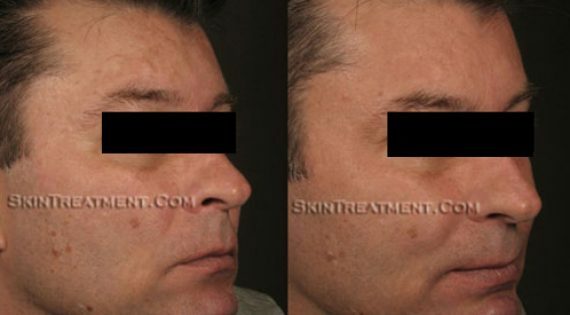 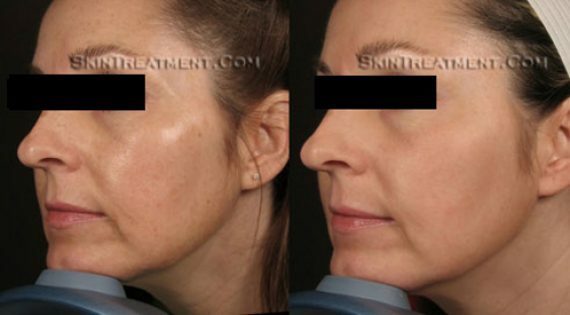 Fraxel Laser Resurfacing treatments were performed. 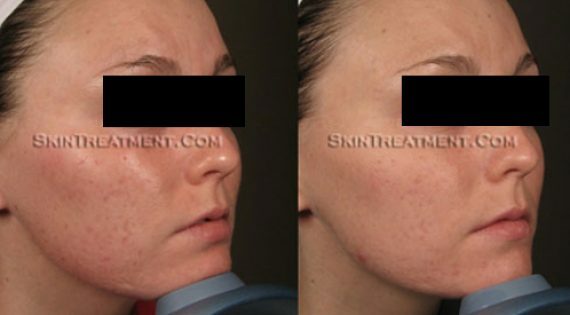 Acne scars are improved in depth and prominence. 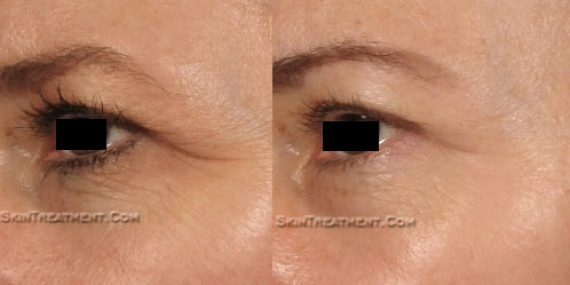 Lines around the eyes are reduced, skin is tightened and the texture is refined. 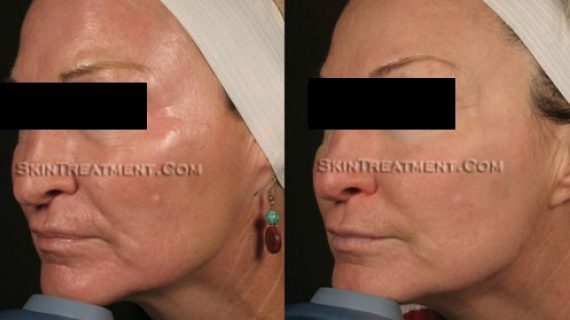 Wrinkles are reduced, skin is tightened, scars are improved, and pigmentation is evened. 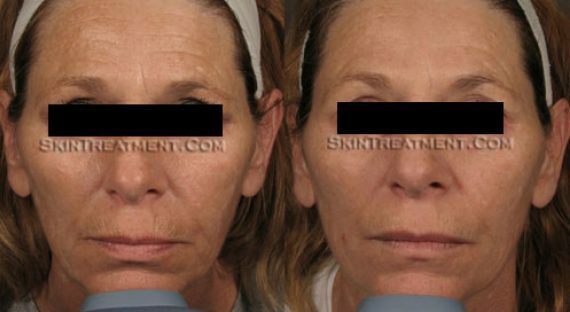 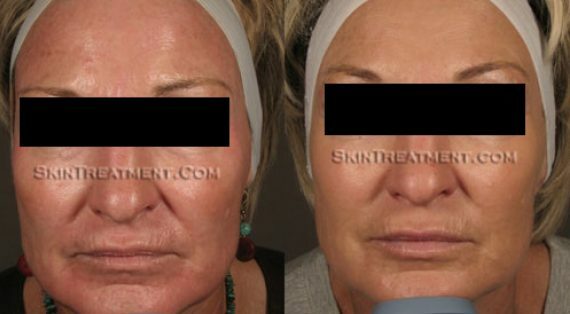 These patients also received BOTOX Cosmetic frown, forehead and crows feet and Juvederm around the mouth. 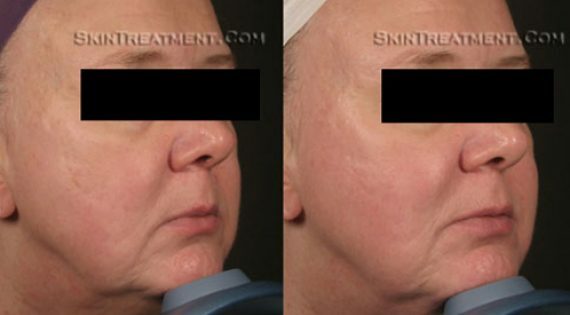 Although stretch marks are difficult to photograph, these stretch marks are reduced in depth, and the color is blended into the surrounding skin. 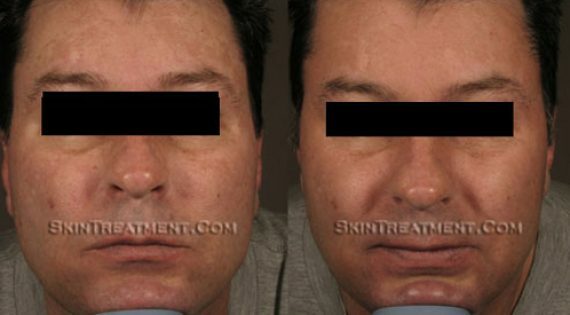 The patient is pleased with the results.